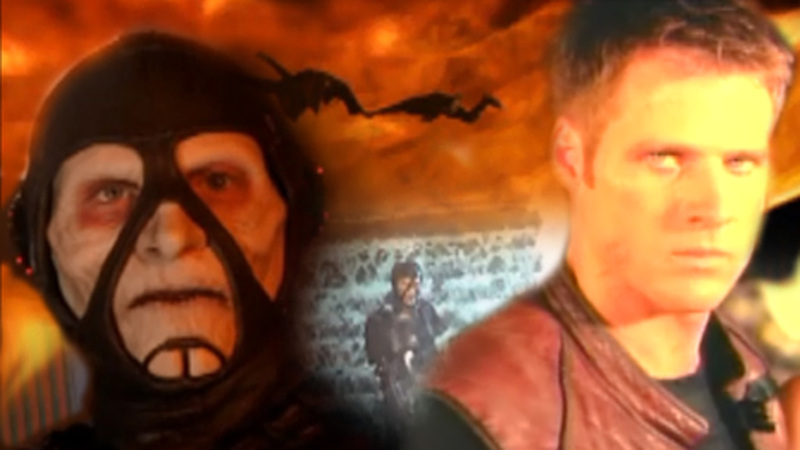 Welcome to my Farscape fan art gallery! 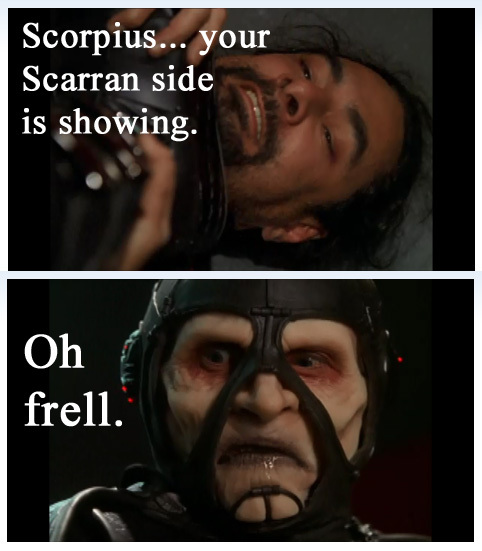 ​Here, you can find fan art for Farscape, as well as screenshots I modified into comics. Some of these images will contain spoilers, so if you haven't watched the entire show, proceed with caution! This is my first attempt to draw Harvey/Scorpius from scratch. It's a bit rough, but in my defense, he's really hard to draw, haha. And I was rushing a bit to get this done in time for a friend's birthday. 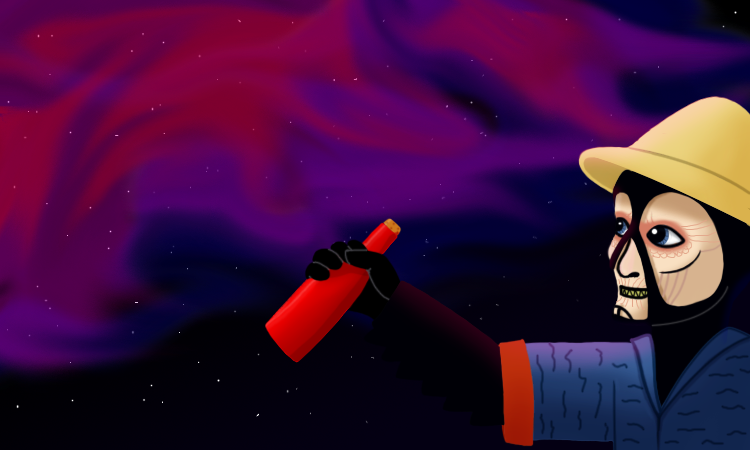 This wallpaper is a crossover between Farscape and Homestuck. In Homestuck, characters who gain superpowers have two elements that define the nature of their powers: an Aspect, which determines what element of reality they manipulate, and a Class, which determines how they interact with their aspect. The Seer class uses their aspect to predict the future. When Chiana begins to get glimpses of the future, those flashes of insight often revolve around painful or dangerous events, at least until she starts to gain more control over the ability. 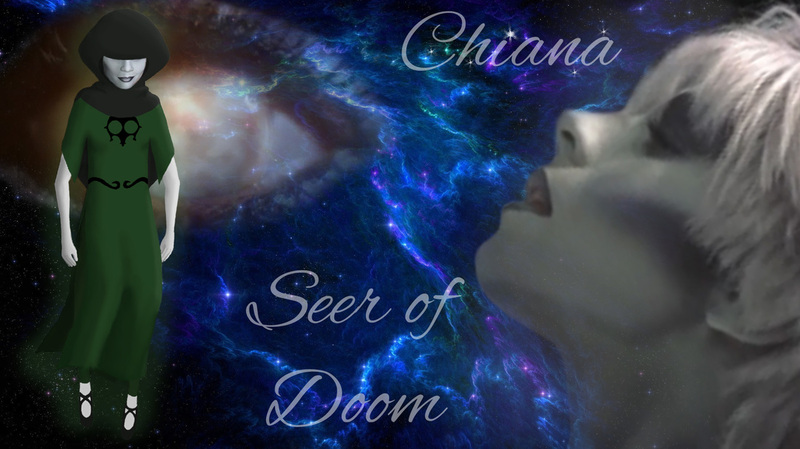 Because of this, I thought it was fitting that Chiana would be a Seer of Doom. Have you ever had a moment when you suddenly realized something about a scene, and it instantly became twice as funny? This was one of those moments for me. 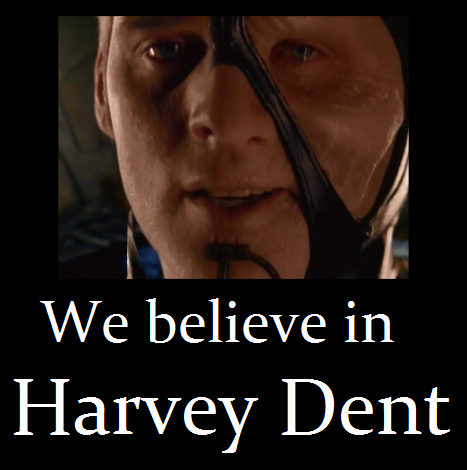 Firefly fans will know what I'm talking about. 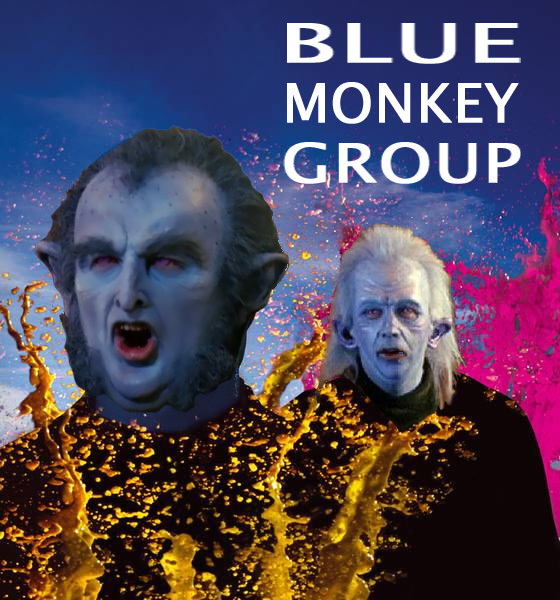 Either the Blue Man Group or the Farscape episode I-Yensch, You-Yensch is now ruined forever. ​Or enhanced forever. Your call. Either way, this is my new official name for the two howler monkeys who brought an overly generous dose of screaming and idiocy to an otherwise great episode. In this scene, she reminded me of a kitten doing a clumsy dance with a lot of superfluous somersaults in an adorable effort to intimidate something. I think they meant for Grayza to come across as a bold, observant, clever schemer. But moments like this, combined with her delicate ego, made it hard for me to take her seriously. I mean, the wormhole's right there. In exchange for the extra Scorpius screentime, it was an acceptable tradeoff. 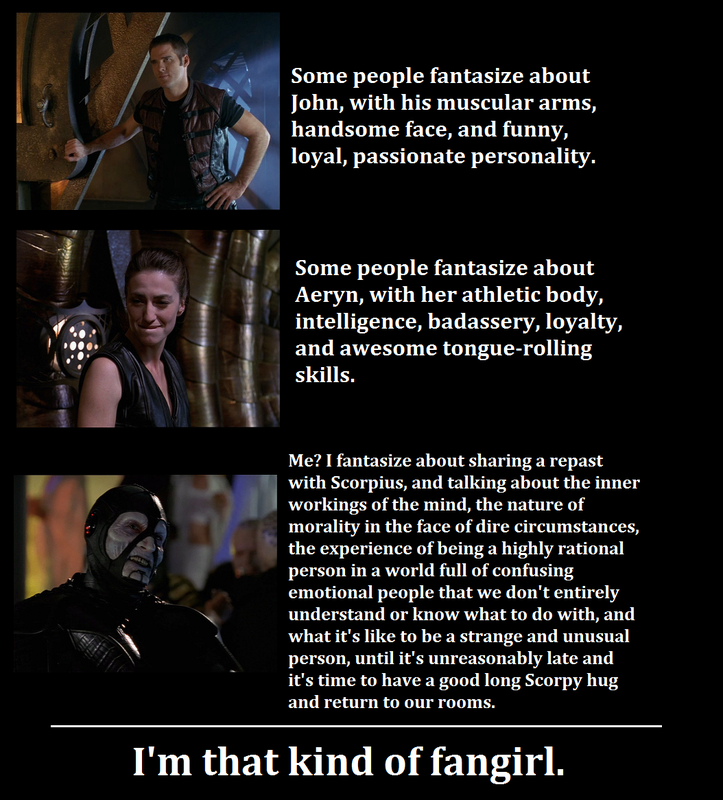 Another moment when Farscape and Firefly​ fit perfectly together. Just don't be the person who forces Chiana to switch from kissing and crying to kicking. Well... 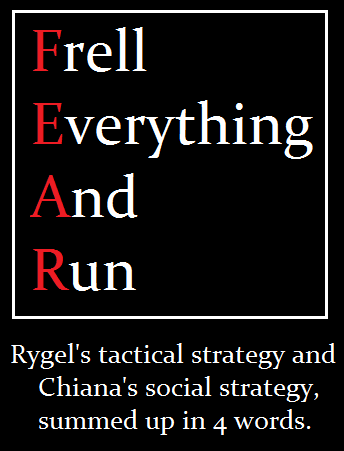 I wouldn't say Rygel was great, but he was born in a position of greatness. And then failed to live up to it, and paid the price. But I needed SOMEONE for the quote, so there he is, in all his delusions of grandeur. Can he count on your vote? 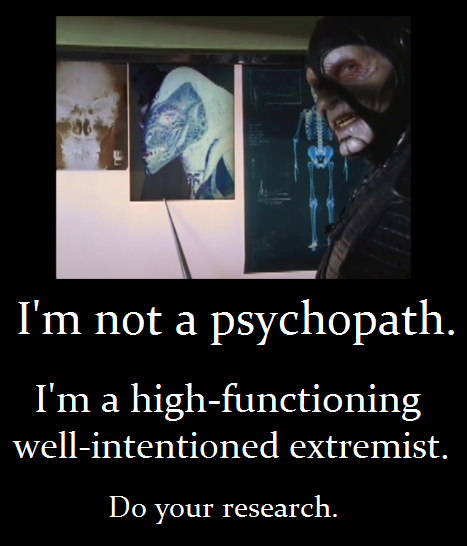 "Psychopath", "sociopath" and "schizophrenia": probably the three most commonly-misused psychology-related words I've ever encountered, mostly tossed around by people who show no sign of having ever looked up what they actually mean. If real-life relationships influenced in-story scripts, things could get complicated. Thousands are affected by this terrible affliction. We must spread awareness. Another of those "fridge logic makes it funnier" moments. Ah, that moment when an internet meme reminds you of your favorite character, and you have to make a comic out of it. This is the second of two Sherlock references on this page. Did you see and observe the other one? From the way he reacted, you'd think he'd just realized that he'd walked onto the bridge naked. 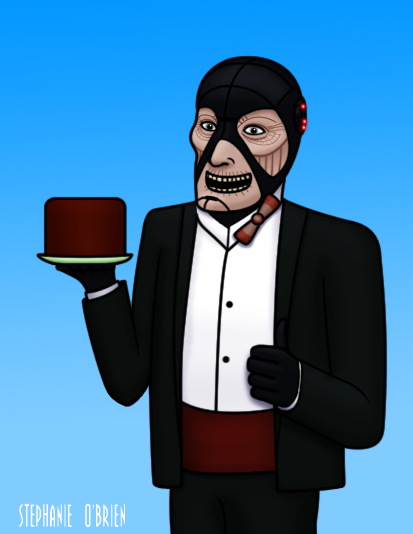 ​Normally I put the description below the picture, but this one needs context. I'm in the apparently small minority of 'Scapers who thinks Scorpius' decision to put the survival of multiple species ahead of the lives of one crew was actually tactically and morally sound - especially given that said crew kind of started it. Y'know... by invading, shooting up, and then incinerating his base. If someone did that to an Earth military base, they'd probably be labeled terrorists, and I doubt that people would be as willing to spare them as Scorpius was to spare Team Moya. 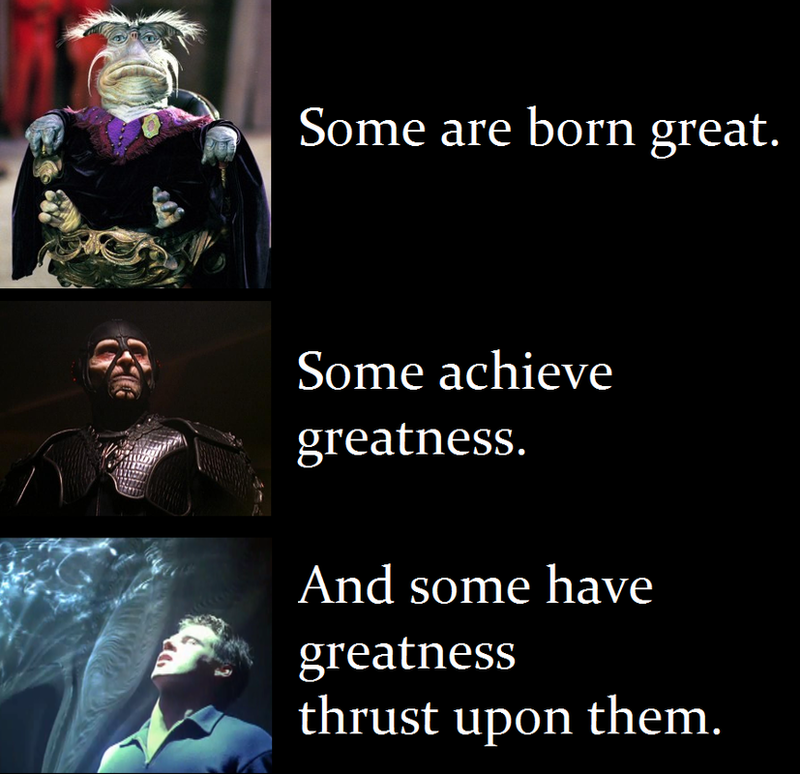 My belief in the rightness of his quest to save numerous species from extinction led to numerous debates in Farscape-related Facebook groups, to the point where I eventually all but detached myself from the fandom in exasperation. In the months before before my departure, one guy made it a running joke that I was trying to "rehabilitate" Scorpius, and I attempted to make a joke out of his joke in return. Thus, this article parody was born. The crews of Moya and Serenity ​had distinctly different takes on the whole "bring a baby into a dangerous world" thing. 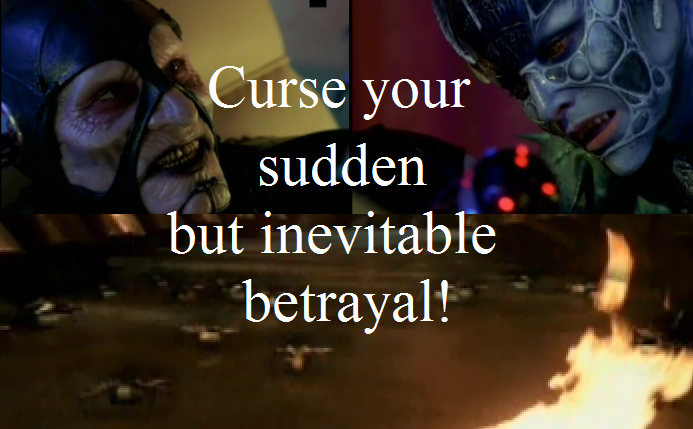 When you're watching Star Wars, but thinking about Farscape​. For extra comedy points, read Scorpius' comment in the voice of Simba. "When I'm king, that'll be the first thing to go." I saw this quote, and it reminded me of one of my favorite things about Scorpius. 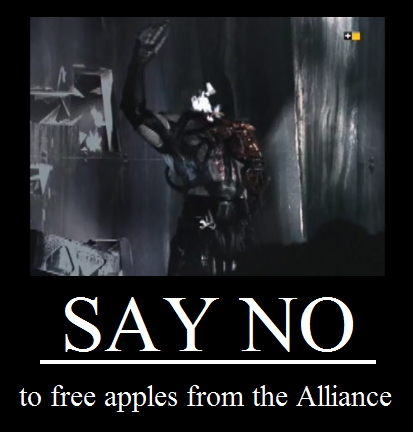 Another Firefly reference. 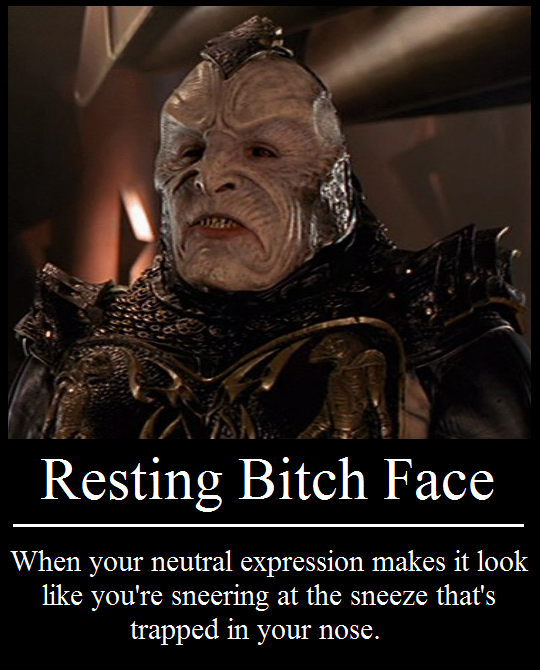 I kind of wish Aeryn had used it in-series. It's called fashion, Rygel. Look it up.